Enter name here (hereinafter called “BUSINESS”). The ACTW is contracting with the BUSINESS to provide services listed in item #4 below, at the following event: Vibe Festival of Wellness, Sunday April 14 on the Orton Lawn. The BUSINESS selling products shall pay to ACTW the sum of ($25) for one vendor spot (10ft by 10ft). The BUSINESS as a SPONSOR shall pay to ACTW the required sum for agreed-upon sponsorship level ($250-$1,500). Checks are also acceptable. Make checks payable to: University of Redlands with ACTW written in the noteline. Please have check to ACTW three weeks prior the event. a. BUSINESS shall conduct sales upon the premises so as not to endanger any person lawfully thereon. BUSINESS shall defend, indemnify and hold the ACTW, its Trustees, officers, agents and employees, harmless from and against any and all liability, loss, expense (including reasonable attorney’s fees), or claims for injury or damages arising out of the performance of this AGREEMENT but only in proportion to and to the extent such liability, loss, expense, attorney’s fees, or claims for injury or damages are caused by or result from the negligent or intentional acts or omissions of the BUSINESS, its officers, agents, or employees. The ACTW shall defend, indemnify and hold the BUSINESS, its officers, agents, and employees harmless from and against any and all liability, loss, expense (including reasonable attorneys’ fees), or claims for injury or damages arising out of the performance of this AGREEMENT but only in proportion to and to the extent such liability, loss, expense, attorneys’ fees, or claims for injury or damages are caused by or result from the negligent or intentional acts or omissions of the ACTW, its Trustees, officers, agents, or employees. a. Worker's Compensation and Employer’s Liability Insurance and such other insurance as may be required under applicable state statutes. b. Comprehensive General Liability Insurance subject to limits of $1,000,000 per occurrence and $2,000,000 aggregate for bodily injury/property damage/personal injury. c. Commercial Auto Liability subject to $1,000,000 limits. BUSINESS shall be responsible for obtaining, from any and all subcontractor it employs in connection with services performed, as outlined in this AGREEMENT, policies of insurance as defined in item #6 a-c above. Upon execution of this AGREEMENT, BUSINESS shall obtain and deliver certificates evidencing such insurance from its insurers, including those from any and all subcontractors it employs in connection with services performed, as outlined in the AGREEMENT. Said policies shall name the “ACTW” as an additional insured and loss payee, but only with respect to liability arising out of the services performed, as outlined in this AGREEMENT, and shall contain covenants requiring thirty (30) days written notice to the ACTW before cancellation of such coverage. These policies shall be primary and noncontributory with any insurance carried by the ACTW. A waiver of subrogation in favor of the ACTW must be provided with respects to Worker’s Compensation, Auto Liability and General Liability. It is understood that if the BUSINESS is presumed to be a nonresident of California, the ACTW shall withhold from the payment hereinabove described the full amount of any and all taxes required to be withheld by the California Franchise Tax Board (FTB) withholding requirements. However, if the BUSINESS is indeed a resident of California, CA Form 590, Withholding Exemption Certificate, may be completed to certify an exemption from nonresident withholding. The ACTW shall deduct the amount required by the FTB and remit such amount directly to the State of California Franchise Tax Board to be credited to the BUSINESS' California State Income Tax Account(s), settlement of which must be made by the VENDOR with the State of California through the Withholding Coordinator, Franchise Tax Board, P.O. Box 651, Sacramento, CA 95812-0651. 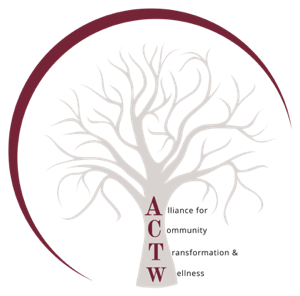 Neither BUSINESS nor the ACTW shall be liable for failure to perform services if such failure is caused by, or due to, acts or regulations of public or ACTW authorities, labor difficulties, civil tumult, strike, epidemic, interruption or delay of transportation service, acts of God, or any cause beyond the control of the BUSINESS or the ACTW. BUSINESS agrees to comply with all California State Fire Marshal Regulations, state and federal laws, fire prevention regulations, public health and safety codes, ACTW regulations and policies, and all other provisions stipulated in this contract. This AGREEMENT constitutes the entire agreement between the parties with respect to its subject matter and constitutes and supersedes all prior agreements, representations and understandings of the parties, written or oral. The terms of this AGREEMENT shall control over any conflicting terms in any other related agreement or document. This AGREEMENT contains all the terms and conditions agreed upon by the parties hereto and may not be amended except by a writing signed by the parties. No representation, warranty, condition, or agreement of any kind or nature whatsoever shall be binding upon the parties hereto unless incorporated in this AGREEMENT. This AGREEMENT contains all the terms and conditions agreed upon by the parties hereto and may not be amended except by a writing signed by the parties. WHEREOF, the parties hereto have caused this AGREEMENT to be executed as of the day and year mentioned above, and this AGREEMENT shall become effective only if the ACTW receives this AGREEMENT on or before March 24 executed by BUSINESS.